Are you looking for a showstopping dessert for the holiday season that’s deceptively easy? Or were you missing the recipe for the cake Grethe Petersen served Mo Rocca at the top of the episode of “My Grandmother’s Ravioli” (and at the encore of the meal she shared with our Onsdag Frokost group last month)? It’s not one of the recipes the Cooking Channel shared. But, as it turns out, Grethe is no stranger to being generous with her recipes. 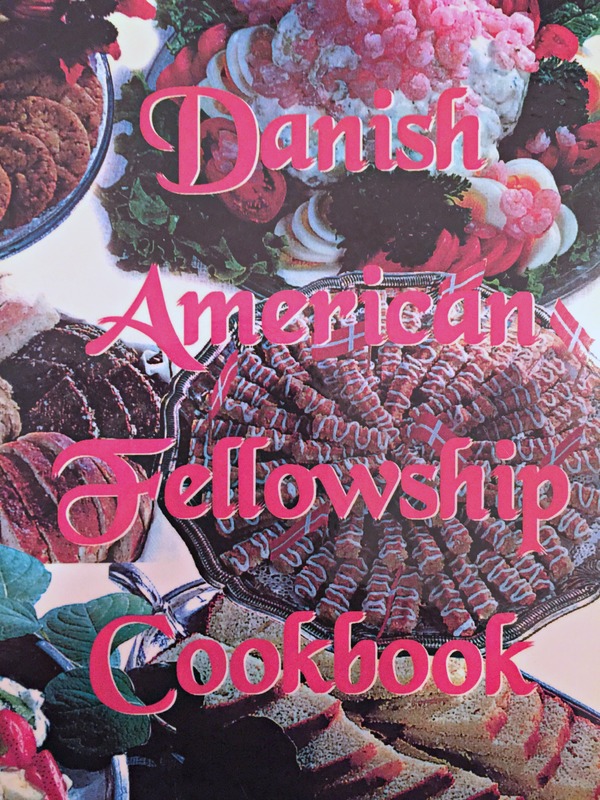 She first shared this one in a cookbook put out by the Danish American Fellowship in 1996. The original tester’s notes for this recipe call it ‘good and easy.’ We couldn’t agree more. Going forward, we will be mining this little gem of a cookbook quite a bit for recipes. Is there one you’d especially like us to include here? Let us know in the comments. Grate almond paste, then mix with sugar at slow speed, then add butter/margarine, and mix until incorporated.